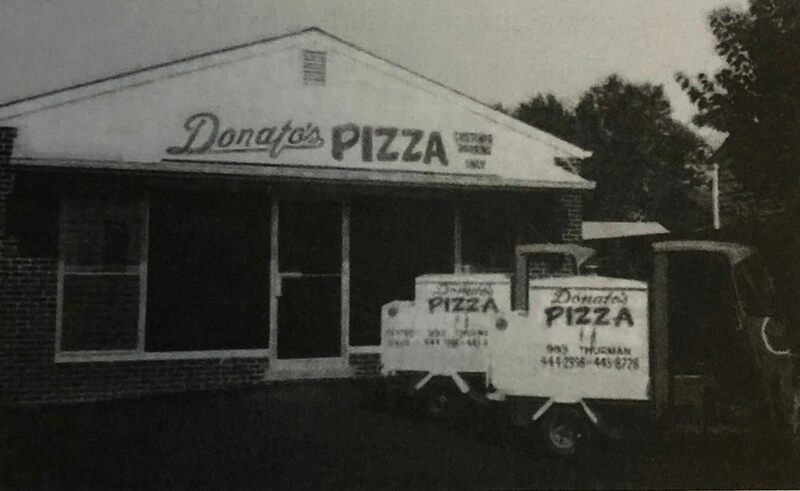 Donatos was born when Jim Grote opened his first pizza shop in a store room in the front of a plumbing shop on Thurman Avenue in Columbus, Ohio. Business was booming from the start, but he had a vision to expand from those very humble beginnings. After work, he would sit on the front windowsill and dream about a black brick building across the street in the middle of that residential area filled with happy people. He visualized his new pizza place every day – smiling customers, happy associates, and a lively and energetic environment. Sometimes people would say, “What a dreamer,” but the reality is that he has always been a man of great vision. He also put the hard work in to make it happen. 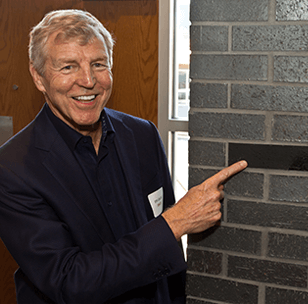 So out of his dream, out of the things he aspired to make happen, his conviction and passion to build this black brick building, he did just that! He was so adamant in getting black bricks because he saw them in his vision every night that he traveled to London, Ohio for them and built his first store. Now, more than 55 years later, the very first Donatos is still one of the top 10 restaurants in the entire company.